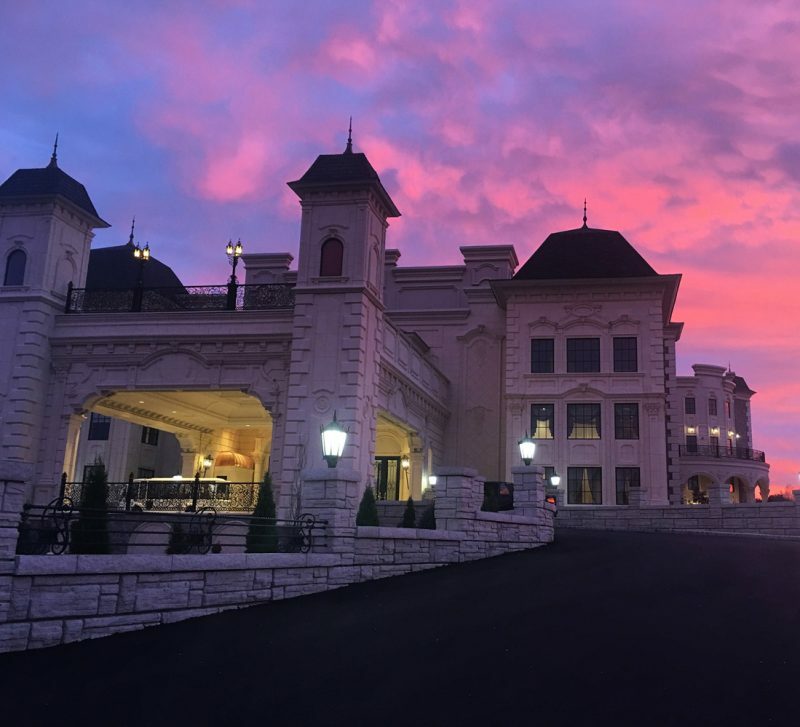 The Legacy Castle is of a neo-classical French beaux-arts style architecture, a blend of different architectural elements abounds. 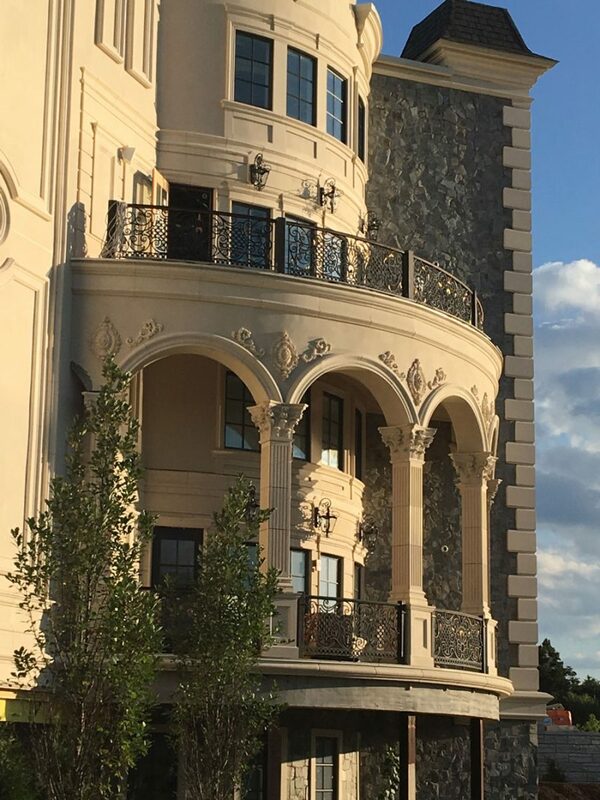 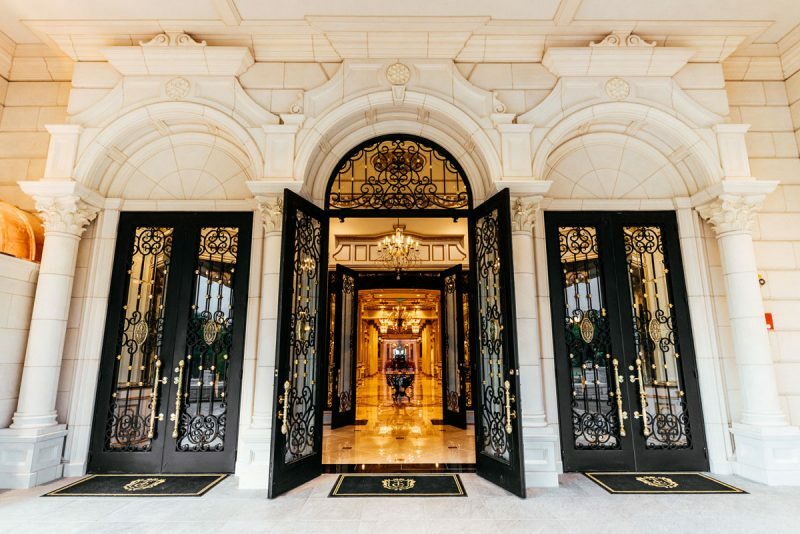 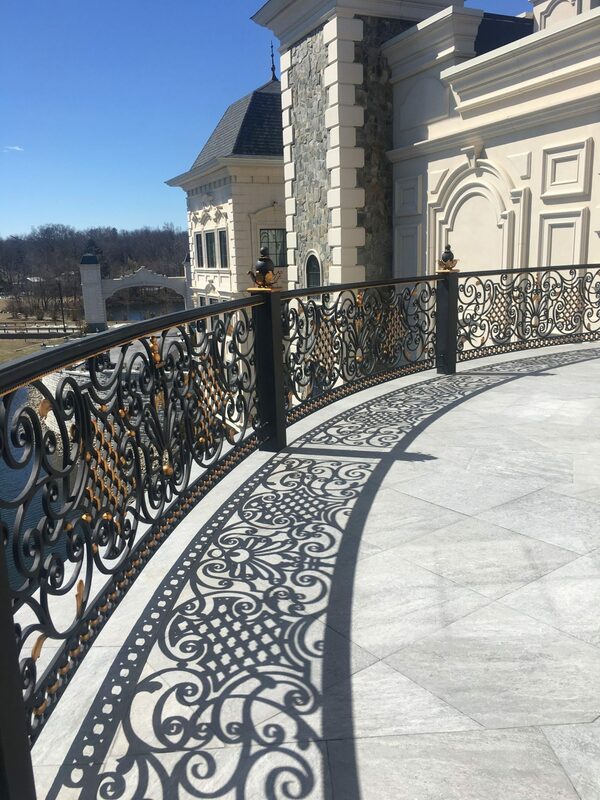 There are towers, circular balconies with French wrought-iron railings, an outdoor terrace above a porte-cochere, and porticos supported by classical style columns. 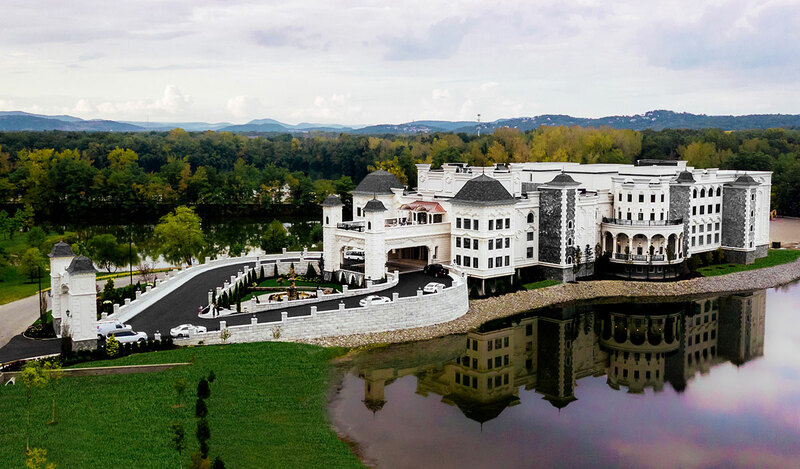 As you drive through the exquisite French style wrought-iron gates, you will see the castle across the lake. 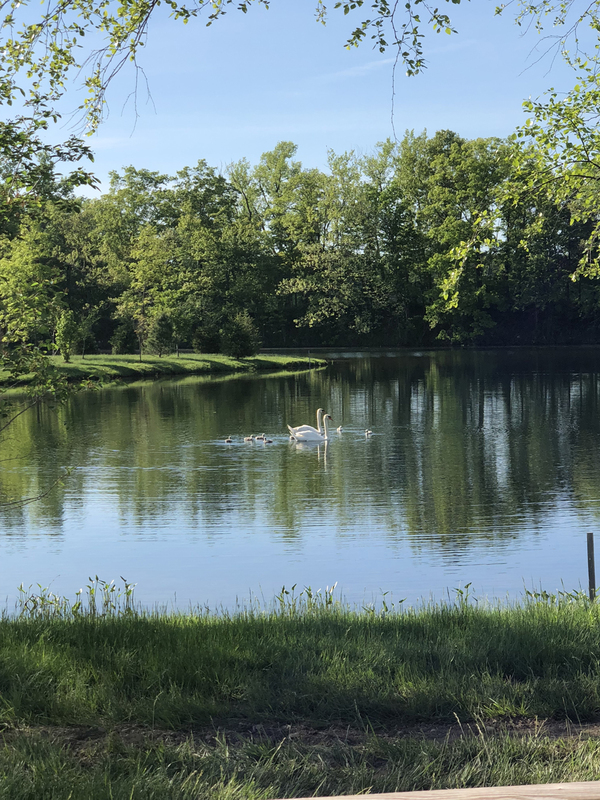 Be sure to say Hello to the pair of resident white swans in the water. 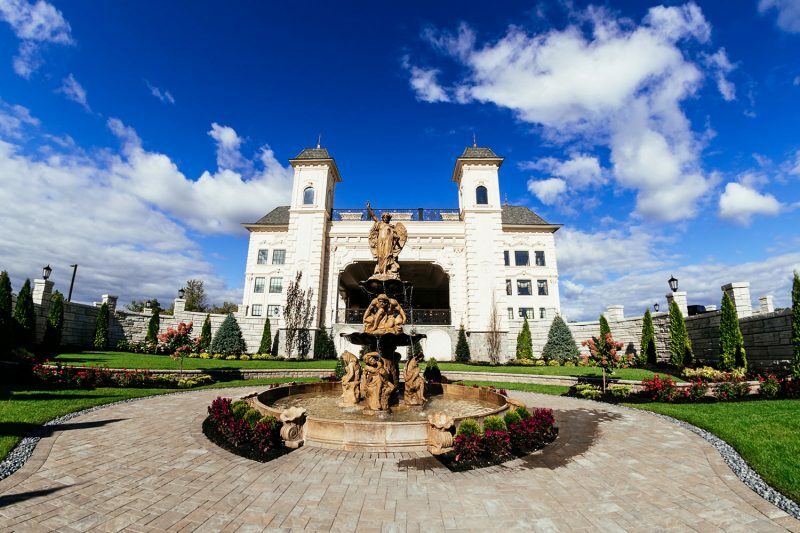 Moving along, you’ll drive under a towering arched entrance and come across a beautiful and artfully landscaped center courtyard with ramps on both sides leading to the castle, and a tall fountain with intricately carved marble figures as its centerpiece. 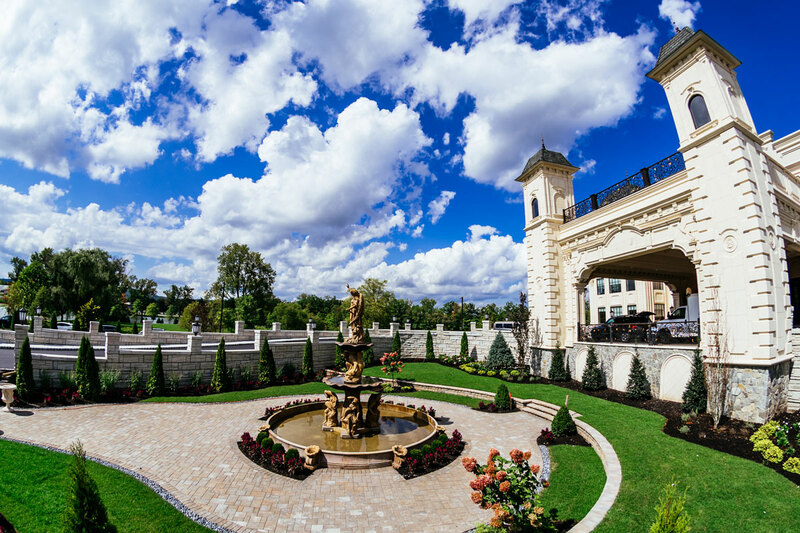 Each ramp holds vintage style lampposts intermittently embellished with urns filled with flowering plants, where you can hear the soothing sound of the water cascading from the top to the bottom of the 21-foot fountain.